After rushing Serena through her morning coffee and standard womanly primping, we hopped in the car and made our way east towards the small town of Bailey. 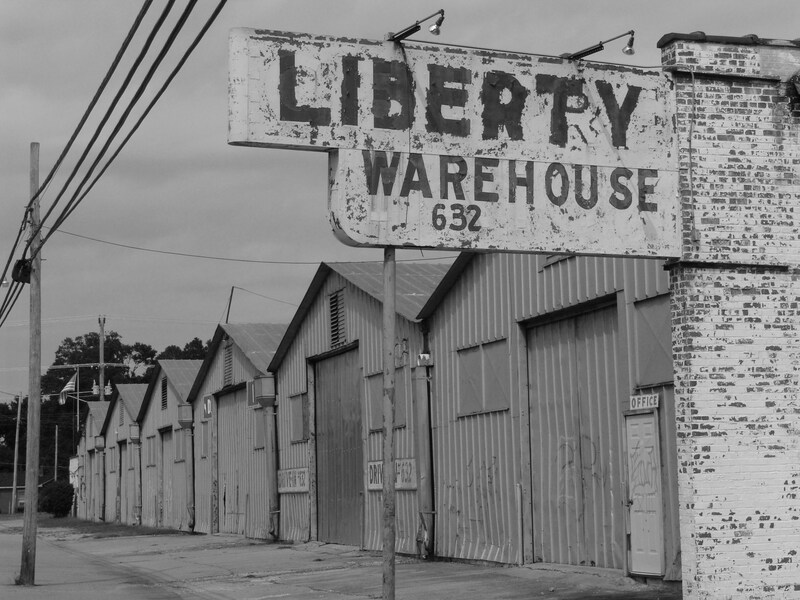 This small, one chicken town would be the first stop in the “Farm Living” road trip that would bring us through six farming towns of central North Carolina. The ride east to Bailey was mostly by interstates and U.S Highways, so there wasn’t much scenery. Once we pulled off the highway into Bailey it was like a time warp. The sign welcoming us into town boasted Bailey as being the “Home of the Country Doctor Museum”. 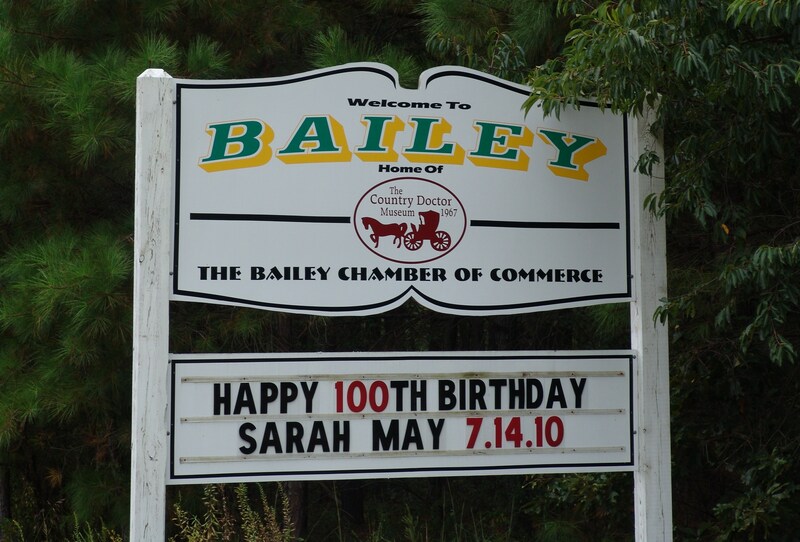 We found it amusing that the sign also congratulated Sara May who is probably Bailey’s oldest resident and had just celebrated her 100th birthday. 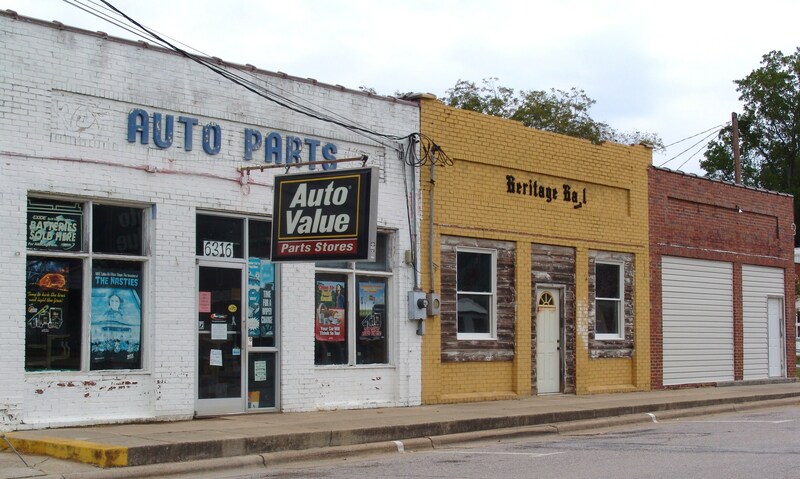 We first came upon an old textile factory that looked abandoned but we did find one man doing some power washing .The main street (simply called Main street) looked as if it had fallen on hard times with the majority of the storefronts sporting a lonely “CLOSED” sign. The streets were nearly empty and when we noticed a barbershop that was open we stopped in to investigate. 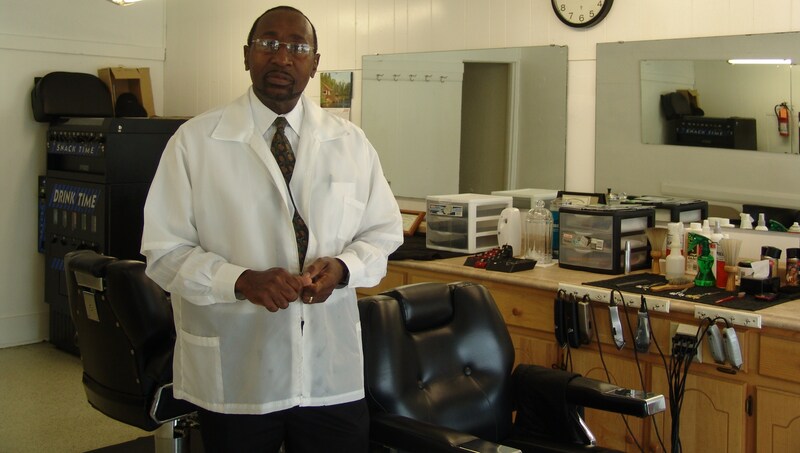 The barbershop looked like something off an old movie set with the barber donning a white jacket and a tie. After taking a picture of the barber as if he were an endangered zoo animal, I caught up with Serena who had wandered into the antique store next door. Serena was near the back wading through a sea of all kinds of country artifacts, an old Miss Piggy lunch box, vintage record player, plates, dishes, old coke signs and more. 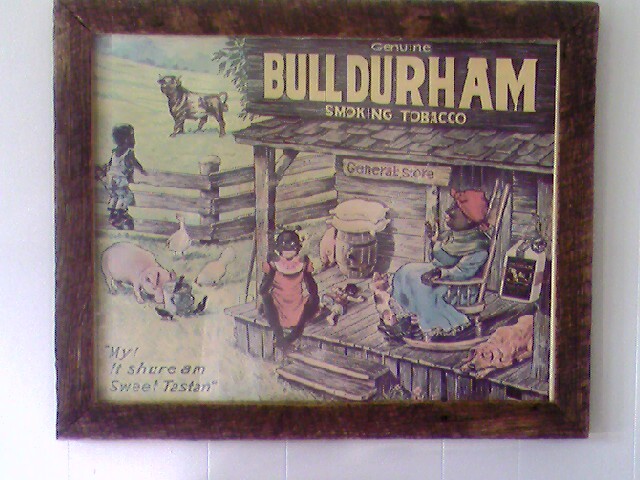 Our favorite had to be the Jim Crow era ad for Durham Tobacco that left us not sure if we wanted to lead a civil rights protest down the Main Street of Bailey or laugh so we decided on the later and moved on. We were not sure if we should laugh or plan a march down Main Street. 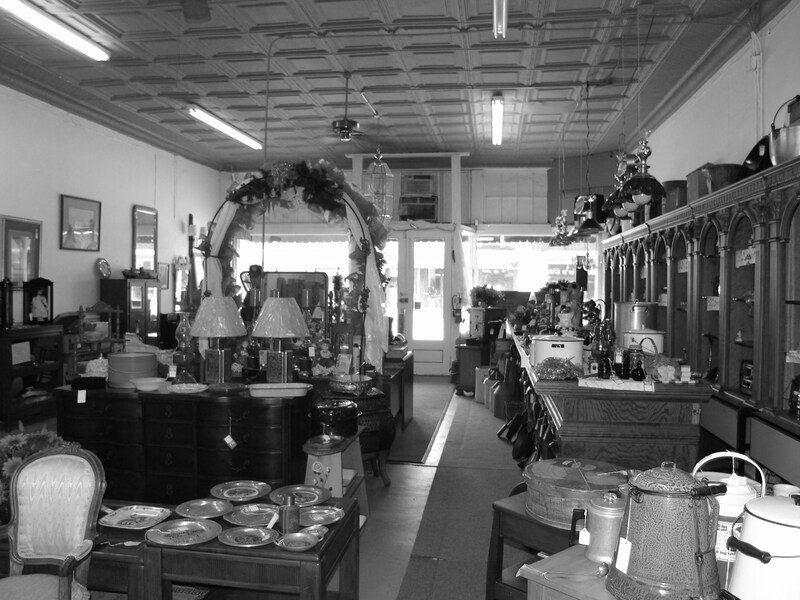 I have never been one for antique shops, as they usually bore me to shreds, but I found this place interesting and I almost felt like I was in a museum. An old man named Larry was working the shop and tried to sell us on various relics and quickly assessed that we “weren’t from here”. When I showed my interest in an old cast iron skillet, Serena announced that she doesn’t do much cooking and Larry shot us a look as if to question why I didn’t have this woman in line. After purchasing a small cast iron skillet that was heavy enough to be considered a concealed weapon in most states, we made our way to Bailey’s claim to fame, The Country Doctor Museum. 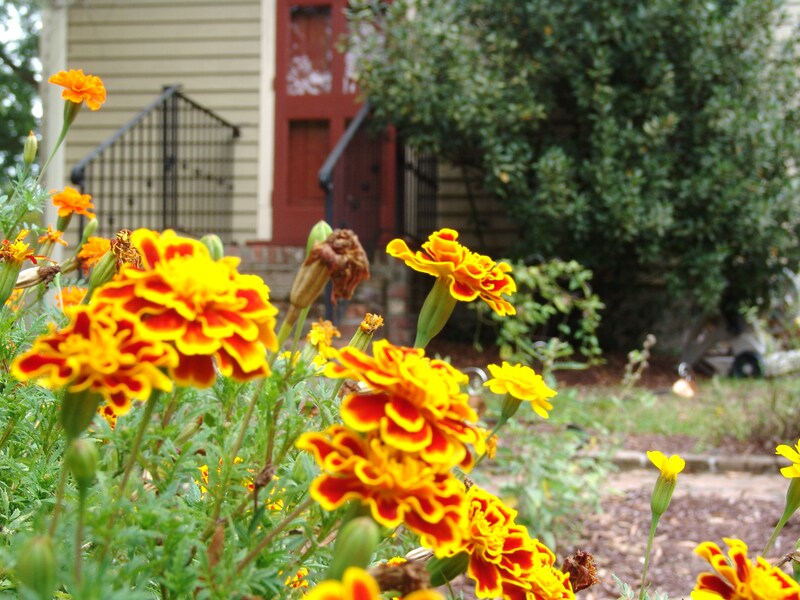 The century old buildings that housed the museum were tucked in a quiet residential area. 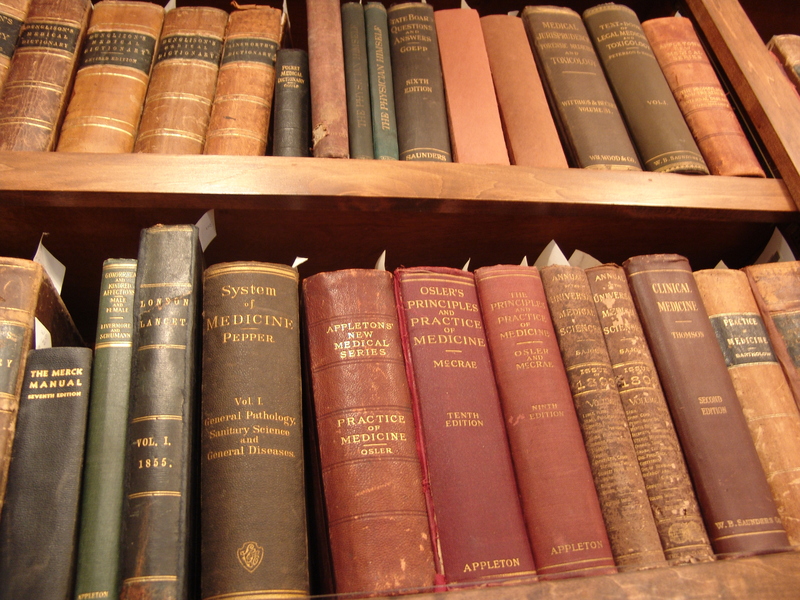 “The Country Doctor Museum collects and preserves the medical instruments and tools of pharmacy used by country doctors, the diaries, papers and medical books of these rural physicians.” Guided tours are given at regular intervals and I suggest calling ahead to find out the updated times. When we took our tour it was just us allowing us to move at our own pace. Next we pointed the car south on NC-581 South towards Kenly. This highway gave a good look at North Carolina’s farmland with fields of tobacco, cotton, abandoned gas stations and general stores. After a short ride we arrived in Kenly. The book suggested stopping at the Tobacco Farm Life Museum but after having just spent a couple hours at the Country Doctor Museum our concentration level was low and hunger level was high. 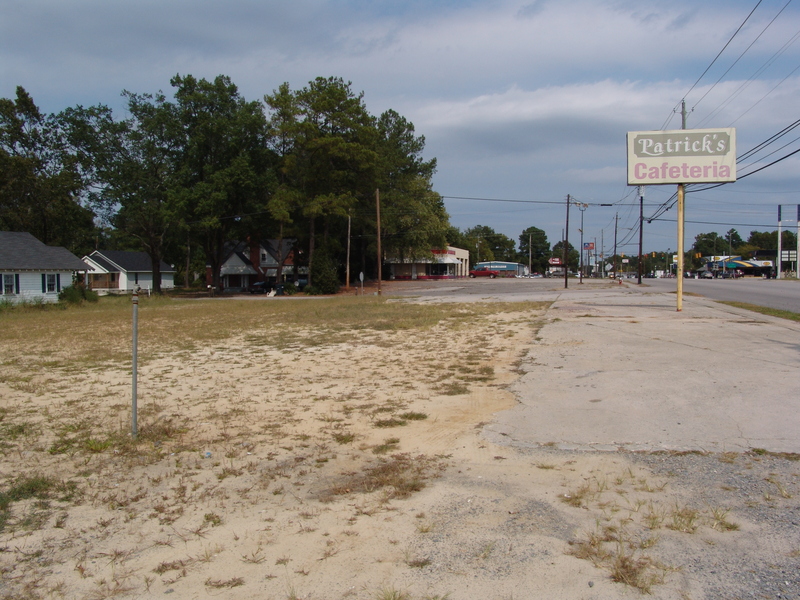 With food on our minds we decided to skip to Patrick’s Cafeteria which was billed as “down-home Southern-style cooking: fatback, grits, homemade sweet potato biscuits, collard greens, fried chicken, meat loaf, pecan pie and more”. With that description you can imagine our disappointment when we pulled up to a vacant lot full of weeds, dirt and ruble. At this point we could have surrendered to the golden arches across the street but we felt that would have been as disrespectful to our day trip as going to a KFC while visiting Paris, so we headed northeast towards Wilson, NC. After the disappointment of Patrick’s, we were happy when we pulled up to Bill’s and saw signs of life. Not only was there life but it seems that this Bill guy was holding down a corner the size of a city block that contained a BBQ and chicken complex that we had never seen before. There was a walk up section with covered outdoor seating, a huge drive thru, a 250 seat buffet operation and a 1500 seat convention center. Out back there was enough parking to accommodate his fleet of over 40 catering trucks and eighteen wheelers. 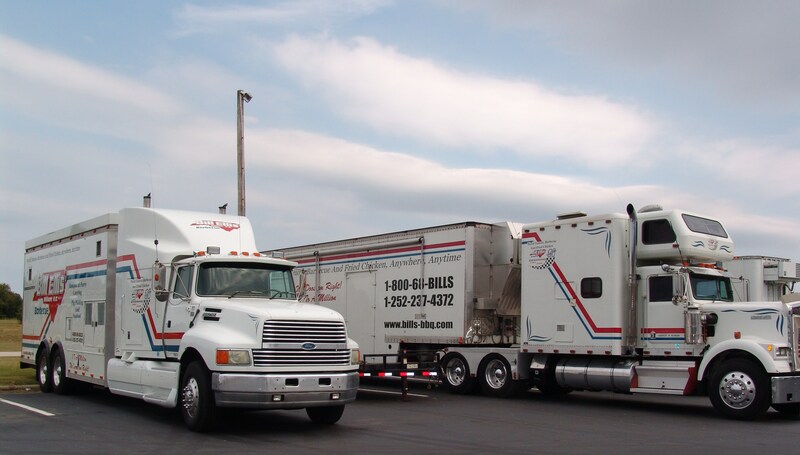 We had never seen an eighteen wheeler catering truck and Bill’s uses these massive rolling kitchens to back up claim of bringing great barbeque and fried chicken from coast to coast. Chicken Breast Platter: This came with a chicken breast, a wing and a choice of three sides. For my sides I chose, fries, Brunswick stew and collard greens. The chicken was excellent and very nicely seasoned. The skin was golden brown and had a nice crunch. A lot of places have a tendency to dry out a chicken breast but Bill’s was tender and moist. While the chicken was better than I was hoping for I thought the sides were fair. The greens were packed into a small Styrofoam cup and had the consistency of something that was put through a food processor. The fries were standard and I thought the Brunswick Stew was ok.
Barbeque Sandwich: This pork sandwich was a nice size and great example of Eastern Carolina Style vinegar based barbeque. The meat was tender with good vinegar flavor that wasn’t over-powering. 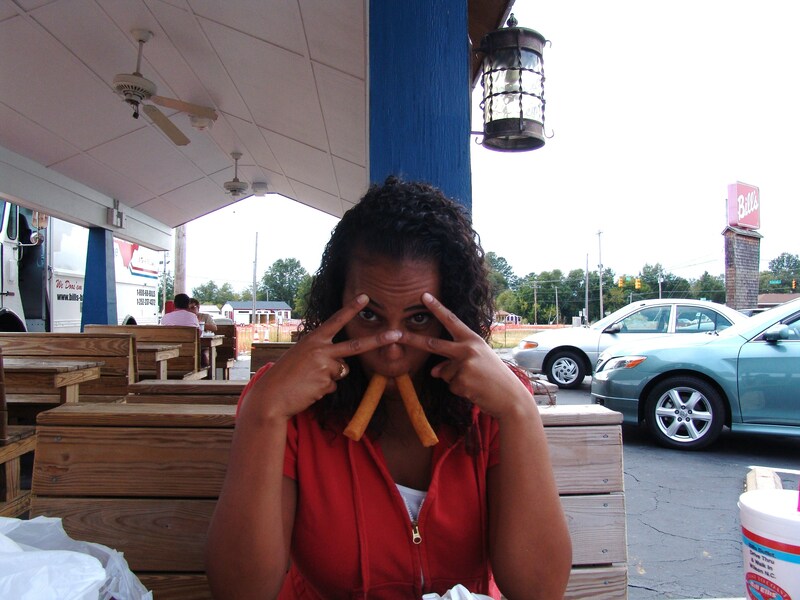 The sandwich came with a side of corn bread sticks and hush puppies. 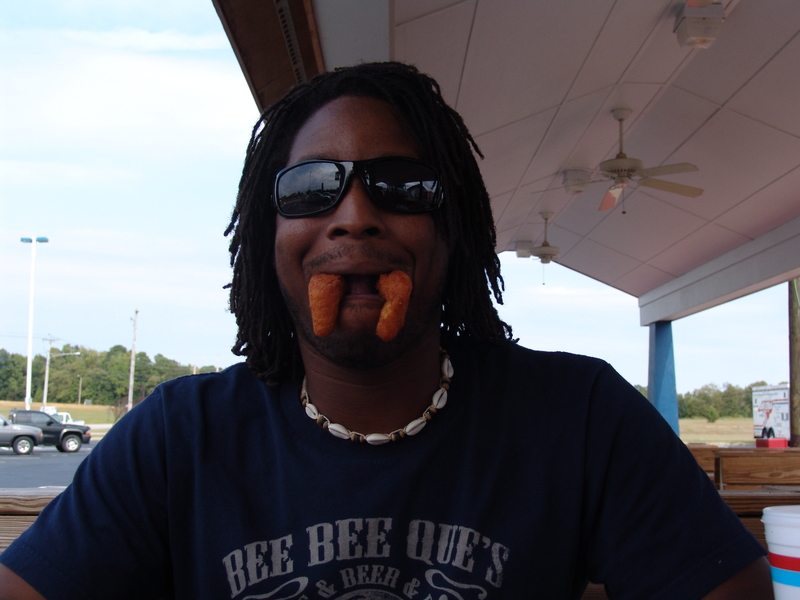 We liked the hush puppies but thought the cornbread sticks were dry. Bill uses his massive rolling kitchens to back up his claim of bringing barbeque "coast to coast"
Bill’s is definitely a place we would visit again and they back up their slogan “we doos’em right“. It would be interesting to go next door and try the buffet. While we didn’t feel the sides stacked up, we were willing to let that slide because the chicken and barbeque was so good (after all its not called Bill’s Sides, its Bills Barbeque and Chicken and that’s what they delivered). 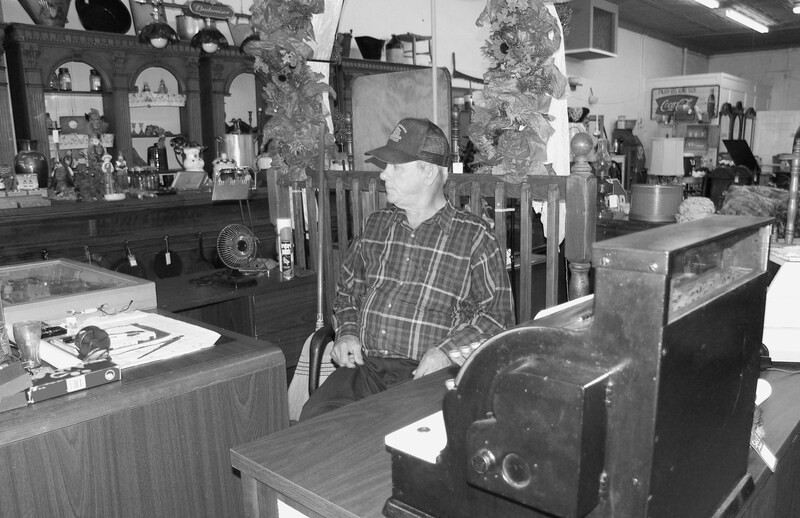 Bill Ellis has came a long way since he first opened a hotdog stand in 1963 and has grown his business to what is considered one of the largest Barbeque operations in the country and a true American success story. With full stomachs and heavy eyes we pointed the car west and headed home extremely satisfied with how our first day trip turned out. We didn’t make it through all five towns but didn’t plan on it as we wanted to take our time and continue next time with what we didn’t get to. 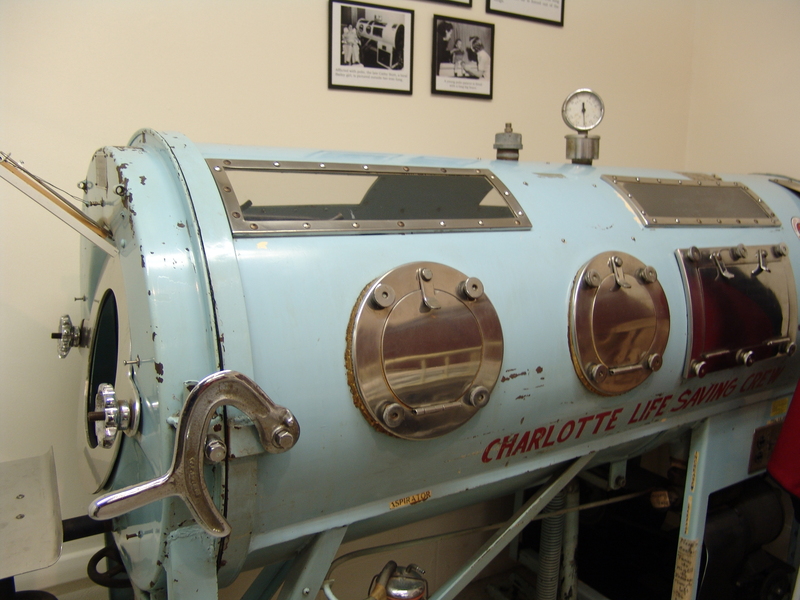 So next, we look forward to watching tobacco being auctioned off at 500 words per minute at Wilson’s tobacco warehouses, visiting the real Farmville outside of Facebook, stopping at the Greenville Museum of Art and grubbing on “B’s Barbeque in Tarboro. Thanks so much for emailing us the link to your blog. It was great meeting the both of you & maybe one day you’ll be back in Bailey looking to purchase your “country home”. I read that you are planning to go to Wilson for the tobacco auction. Just last week, I had another museum visitor tell me that they went to Wilson to witness this, only to find out that it is no longer done. You may want to investigate further, maybe with the Wilson visitors center just to be certain. You had to bring up the country home again, was thinking she forgot about it by now lol. Was nice meeting you too and thanks for the info on the auction, that would have been a let down. I know they stop doing it at some point in the fall. Thank you for the compliment and stopping in. I am glad you found the info useful and hope you drop back in. I’m originally from Bailey. We were there recently, and had to head for Bill’s Barbecue and Chicken. You really need to go to the buffet. So much food!! 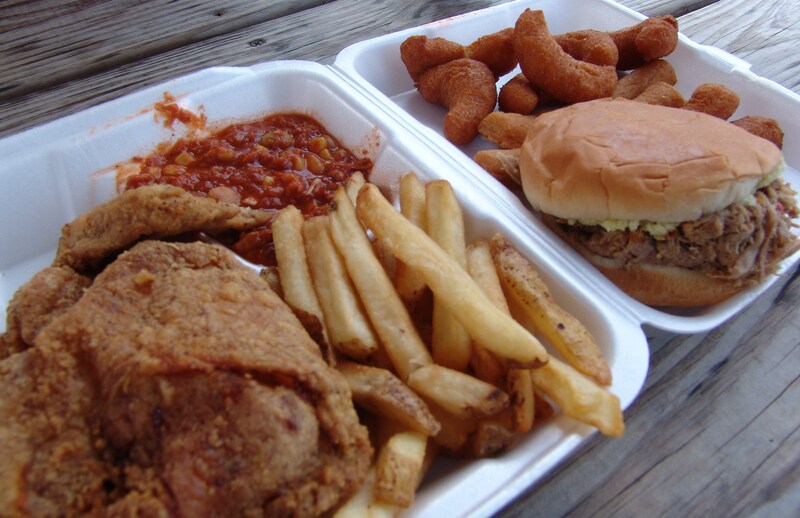 We southerners have to pile the fried fat back on our plates,too. 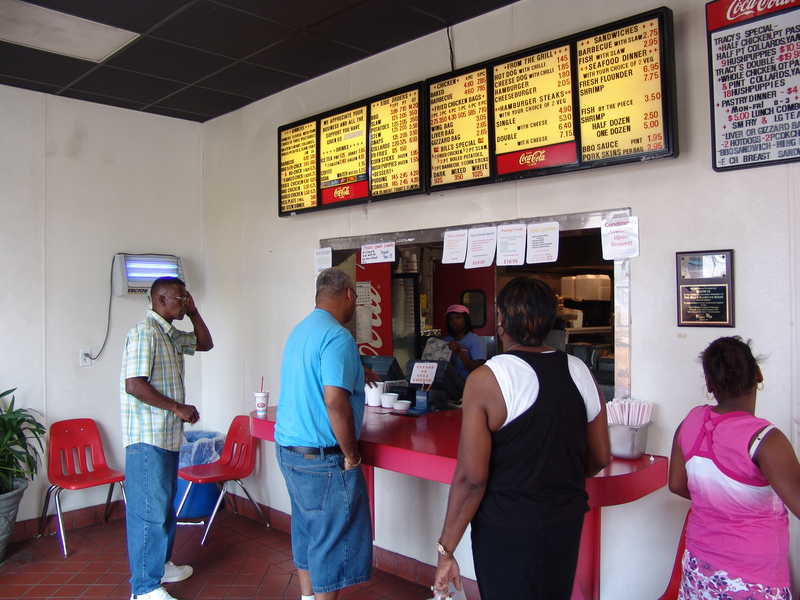 The next day was usually our first stop; Parker’s Barbecue.on US 301. You MUST try it. Got to have the sweet tea, too. We are 800 miles away, but I wish we were at either of those restaurants right now.